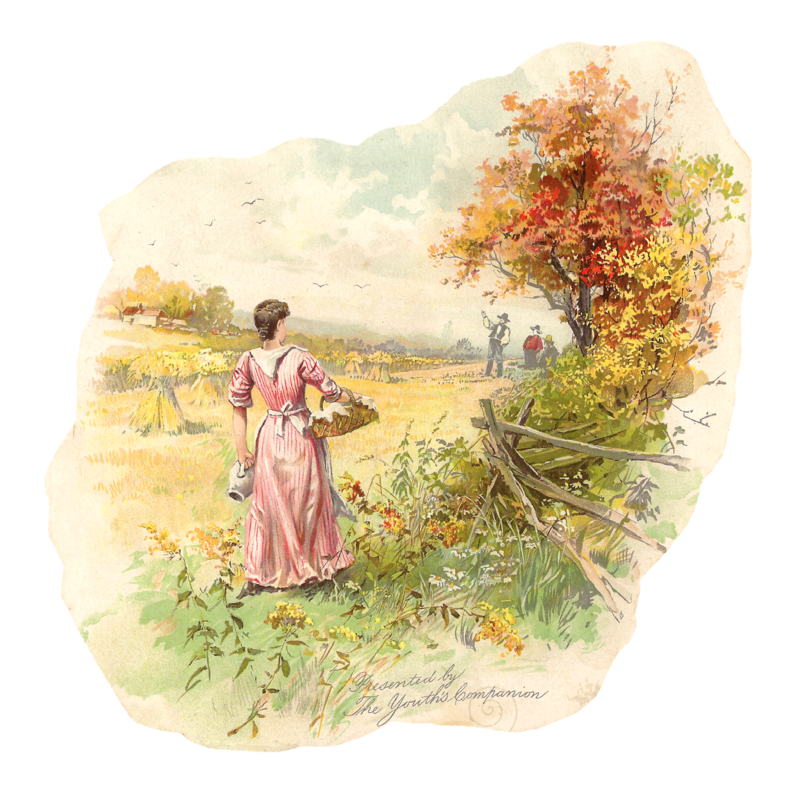 This is a delightful country graphic that I created from a beautiful Victorian scrap. I love the idyllic countryside scene of these farmers about to enjoy a homemade lunch outside. This gorgeous digital scrap is similar to the one I posted here. Both of the were in one of my Victorian scrapbooks. 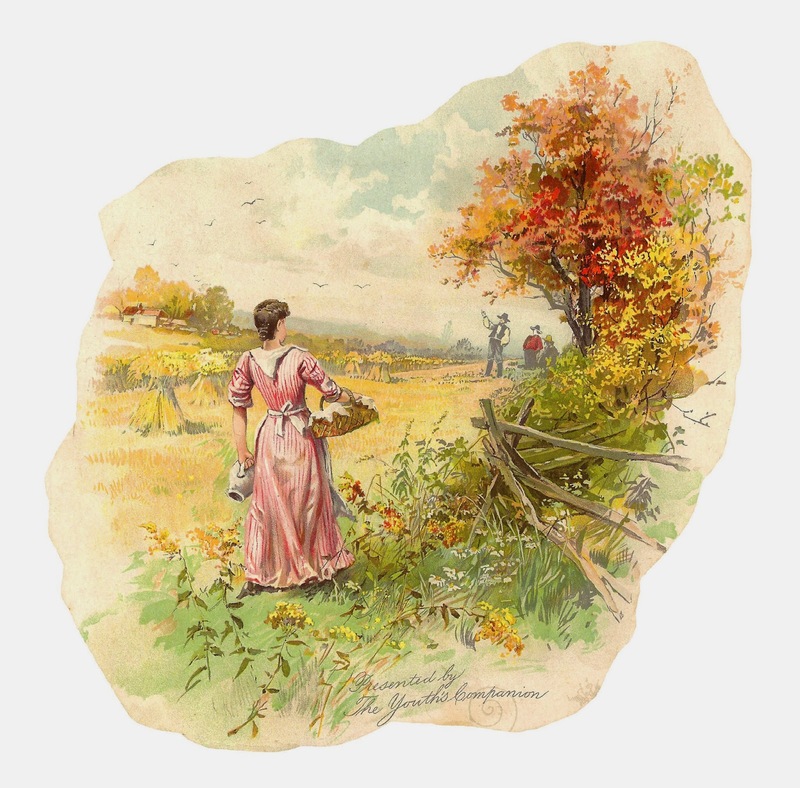 I've give you both the .jpg and .png files of this pretty country clip art. Enjoy!